The Midrash (Devarim Rabbah 2:1.) explains that when God fulfills a person’s prayer, it can be either by virtue of their merits or, if they have no merits, He does so gratuitously. 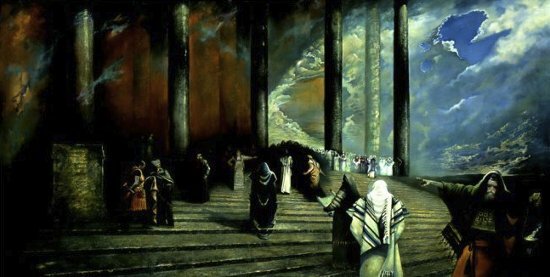 Even though Moses was certainly righteous and could have supplicated God by virtue of his good deeds and Torah study, he chose not to. Instead he pleaded that God not judge him as He judges the righteous (indeed, Moses did not consider himself to be worthy at all), but rather, that he fulfill his wish of entering the Holy Land only as a gratis gift. How religiously observant Jews view prayer can seem very different from the Christian perspective. We Christians don’t have the concept of having “merits” or praying by the “merit” of our ancestors or our historic holy men and saints (except perhaps in Catholicism, but I’m hardly an expert). 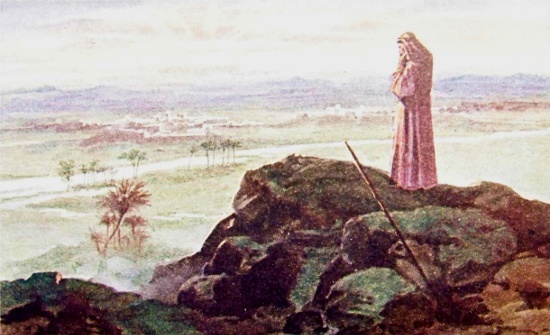 Generally, we are taught that when we pray, we all pray for God not to judge us but to be merciful and gracious to us out of His kindness and compassion, just as Rabbi Ginsburgh says Moses prayed. However, without realizing it, we in fact do pray in the merit of just one holy man, our great tzaddik, and we were taught to do so. A too literal interpretation of this verse has sometimes resulted in some Christians engaging in the so-called “name it and claim it” theology and then wondering why praying in the name of Jesus Christ didn’t give them everything they named on their wish list. But then, they weren’t thinking about how Jews conceptualize prayer and praying as disciples in the merit of their…of our Master. And as we know from the situation of Moses, not all prayers are answered, at least in the way we want them to be answered. It is said that when God ended the life of Moses, He did it very gently, as one might kiss a friend, and so God was with Moses all his life and to the end of his life, and beyond. I’m going to stick my neck out and say that, at that place and time where Moses was praying to God to be allowed to enter into the Land of Israel at the head of the tribes, that it didn’t occur to him that he could have “supplicated God by virtue of his good deeds and Torah study.” I believe (and this is just my humble opinion) that Moses pleaded to God for His grace and mercy, asking for a gift and realizing that, in the face of an Almighty, Infinite, and Ultimately Creative God, that Moses had no merits at all to offer. He was as humble (Numbers 12:3) as all human beings are in the presence of the Throne of God. And God answers us as He answered Moses, not only by His mercy and grace but by His justice and His will, for God is God and we are but His servants. It’s a crazy world and sometimes I let it get to me. I pray for a saner world and one in which, if it doesn’t understand a life of faith, will at least tolerate it. It seems like the prayers of Moses, that my prayers are in vain. But that’s unfair since, like Moses, I can’t see the really big, big picture. I have no control of what happens outside of my one, small life and certainly will have no control over anything that happens once my life ends. But it is important for me to stay on course, if for no other reason than for the sake of my sanity. That’s part of why we pray…so we don’t lose our way amid the seemingly endless distractions that are constantly screaming at us. But from a Jewish point of view, that’s also why we should study. The Vayechi Yosef of Pupa, zt”l, would rouse people in his own special way to focus on making set times to learn and keeping to them. “Just like the body needs to eat regularly and cannot maintain a healthy existence without food, so too the soul must have regular learning which is what gives it nourishment and vitality. This can be compared to a city where a rampant disease begins to spread. The medical establishment quickly vaccinates everyone in the city from the disease. In this manner the problem is neutralized. Similarly, Torah is a spiritual elixir of life. One who learns Torah every day vaccinates himself from being dragged down by all the negative influences of his day. Both the impurity he must deal with at work and what is in our streets can be overcome only through dedicated Torah learning. There is no other way to overcome the yetzer hara. Rabbi Ginsburgh connects, through means that are highly esoteric, praying for a gift from God to entering the Holy Land to the Mashiach finally being “able to pass over the Jordan and enter the Holy Land to complete his mission of redeeming the Jewish people.” Although as Christians, we cannot arrive at the same set of conclusions based on the scriptures, it’s not a bad connection and perhaps there is some hidden merit in his words (I base this on the meditations Redeeming the Heart of Israel, Part 1 and Part 2). What we can see is that the end of our prayers and even the end of our lives isn’t the end of God’s interaction with the world and His plan for the redemption of Israel and the nations. I don’t know that I’ll be around to see it all happen, but I do know that I have some small part of the plan (though I can’t imagine what it is right now). If I can borrow my direction from both Christianity and Judaism, in order to keep my focus, my compass must point to some very simple things. To study, to love, and to pray. It’s not about what God does and doesn’t give us or how the world seems to be developing in the short run, it’s about God being with us as a companion on a journey. It’s about taking the time to enjoy the scenery, to breathe, to let ourselves feel His presence and indulge in His providence. 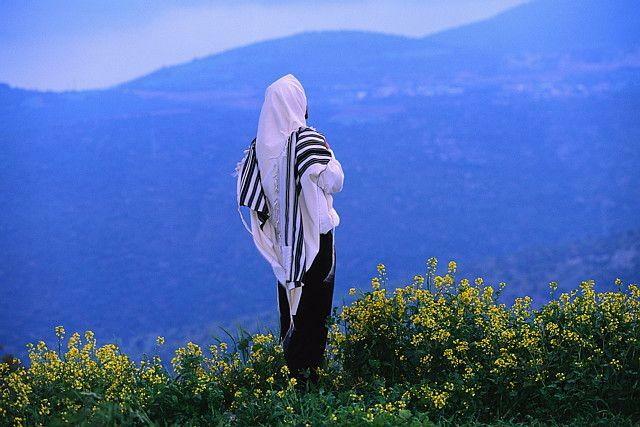 For just like Moses from the viewpoint of Rabbi Ginsburgh, someday we’ll cross the Jordan and enter our land of promise; our land of love, life, and peace.